Les Schiefelbein, CEO and founder of Schiefelbein Global Dispute Resolution, has announced a gift to the Sandra Day O'Connor College of Law at Arizona State University to establish the Les Schiefelbein Global Dispute Resolution Program and Endowed Scholarship. 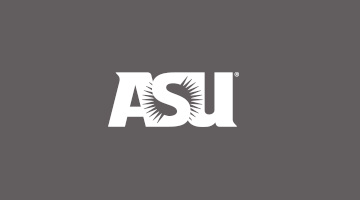 A goal of the global dispute resolution program is to provide students at ASU Law an innovative and interactive environment to gain knowledge, experience and develop professional connections that will help prepare them for practice in international arbitration and mediation with global law firms, multinational corporations, governments and nongovernment organizations. The program will feature an annual International Arbitration Forum where top lawyers, counsel for global corporations, internationally recognized arbitrators and mediators, and leaders at arbitration institutions will engage in discussions on timely issues in international dispute resolution. The Les Schiefelbein Endowed Scholarship Fund will provide scholarship support for law students pursuing careers in global dispute resolution. "The generous gift from Les and Linda Schiefelbein to create the Global Dispute Resolution Program, at the law school's Lodestar Dispute Resolution Center, will improve our ability to offer a world-class legal education to our students and prepare them for careers in the field of global dispute resolution," said Douglas Sylvester, dean of the Sandra Day O'Connor College of Law. "Through this collaborative program, our students will have opportunities to interact with and learn from leading lawyers, arbitrators and mediators across multiple disciplines." "International dispute resolution is complex, constantly evolving due to the breadth of a global economy and the fast pace of technology innovation and the need for new practitioners, both men and women, is paramount," said Les Schiefelbein. "The Sandra Day O'Connor College of Law has an impressive commitment to dispute resolution education, being ranked number seven in U.S. law schools for dispute resolution by U.S. News & World Report. "It is the right place and this is the right time to provide a focused program to nurture the learning, talents, passion, and leadership skills for the next generation to be successful practitioners in global dispute resolution, especially where it is growing at a rapid pace in Asia, Europe and the United States." Schiefelbein is a leading domestic and international arbitrator serving in complex commercial, government and technology disputes. Les has an extensive business and law background that includes 30 years as vice president and deputy general counsel at Lockheed Martin Space Systems Company. At Lockheed Martin, Schiefelbein advised senior leaders on a wide range of international aerospace, technology and national security matters and acted as counsel in many international arbitrations. He also is a retired colonel, Air Force judge advocate lawyer. Schiefelbein currently serves as CEO and vice chairman of the executive committee of the Silicon Valley Arbitration & Mediation Center, a nonprofit that serves the global technology sector by promoting business practical resolution of disputes. He made the Silicon Valley Arbitration and Mediation Center's "Tech List," a catalog of the world's leading technology arbitrators and mediators, in 2015, 2016, 2017 and 2018. Schiefelbein received his JD from the Sandra Day O'Connor College of Law.